I just got this adorable toy tool set in the mail and I think it’s perfect for pretend play for a girl or boy! Pretend play is extremely important for small children to stimulate their little minds. Young children love imitating Mommy & Daddy and I just love this cute tool set! I think the drill is the cutest part!! This set would make a perfect Christmas gift, birthday gift, Hanakkah present or just something special to buy your little tike! Our set was mailed to us as a sample so the kids could play with it and Mommy could post her opinion! Personally I think all the tools and the belt are nice quality! This set does include smaller parts so it’s recommend for older children and of course not toddlers. If your interested in purchasing this set you can find it sold on Amazon by clicking HERE. I also like that it’s on sale for only $18.99 marked down from $25.99 which is always a huge plus in my book! I’m pretty impressed with this thermometer. The packaging isn’t that impressive so it wouldn’t make a good presentation for a gift but the actual product is excellent and very accurate! I tested this thermometer against another thermometer I had in the house already and they both had the same reading so I was happy about that! It’s very easy to use which keeps it simple and it cleans up easy too. I also like that it’s priced at a good price point so it’s not expensive and it has a helpful chart on the front of it with the proper temperature for different types of meats. Mine was mailed to me as a sample so I could try it and post my opinion. Oh, and another thing I’d like to point out is the bright color, it makes it a lot easier to spot it in your kitchen drawer. I know that’s a minor detail but I thought I’d point it out. If your interested in this product you can find it on sale over HERE and the best part is that it’s currently marked down to $14.95 from $18.95. Today I’m reviewing PURXURY ORGANIC HYDRATING SERUM + CLEANSER and I’m really liking that this serum is for sensitive skin! Another added bonus is that it’s also a multi use type product meaning that it’s a face serum, eye serum and a cleanser all in one! That’s so convenient for me when traveling and keeps my morning beauty routine simple. Being a mom I’m always looking for simple and quick ways to get thing done. Another thing I’m really loving about this serum is that it’s all natural and organic. That means a lot in today’s world and I always use organic products whenever I can. When I use this serum my skin feels so soft, hydrated and feeling refreshed. I have noticed the fine lines appear to have filled it a bit and my skin seems more plumped up again like when I was younger. I was mailed a sample to try and post my opinion and like I said before, I love it! It has a really nice texture and glides, smooth and is unscented, which is really nice! If you’d like to try this all natural organic serum by Purxury Organic’s you can find their site HERE! It’s currently on sale for $49.95 marked down from $59.95 which makes it even sweeter! I was also mailed a sample of their DETOX CHARCOAL SOAP and their ROSE SOAP and the charcoal bar is perfect for shaving with and the Rose bar smells divine! So be sure to check out their all natural bars of soap while your on their site because they truly are wonderful!! I love handmade soap! 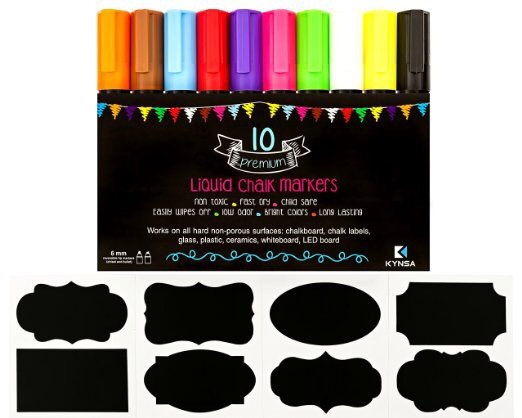 These are not only great for writing on chalk board labels and other smooth surfaces but they are perfect for your kids in the bathtub!! You can give them to your kids to draw in the tub as long as it’s a smooth surface and not a porous surface like natural stone tile. You can also turn the front of your refrigerator into a dry erase board which makes for a great grocery list spot. Same goes for the microwave door, draw on it or turn it into a dry erase board!! It wipes off perfectly with a magic sponge and water. I love these chalk markers! They get 5 stars from me! 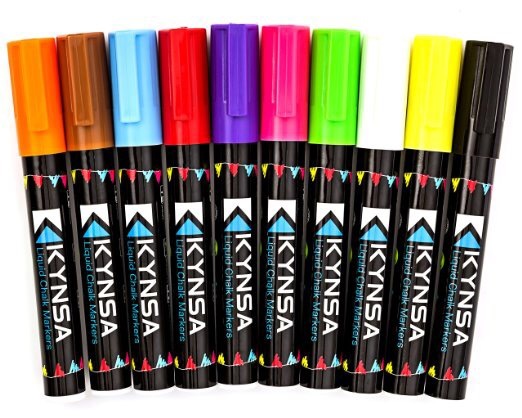 If your interested in purchasing these liquid chalk markers you can find them on sale over HERE! I used it for the first time without reading the directions or anything and WOW!!!!! It’s magic! If I would have known these were this good I would have bought one a long time ago! I’m so excited about this electric bottle opener. I don’t know how to put it in words! It’s so easy to use, just take the foil cutter & twist it around the top a few times then put the Ozeri bottle opener on top of the bottle, press the down button and hold it until the cork is out of the bottle. Once the cork is out press the up button until it ejects the cork. Mine was sent to me as a product sample to try so I could post my opinion and like I said before, I love this bottle opener. I want to open every bottle in the house but I don’t drink wine that fast! 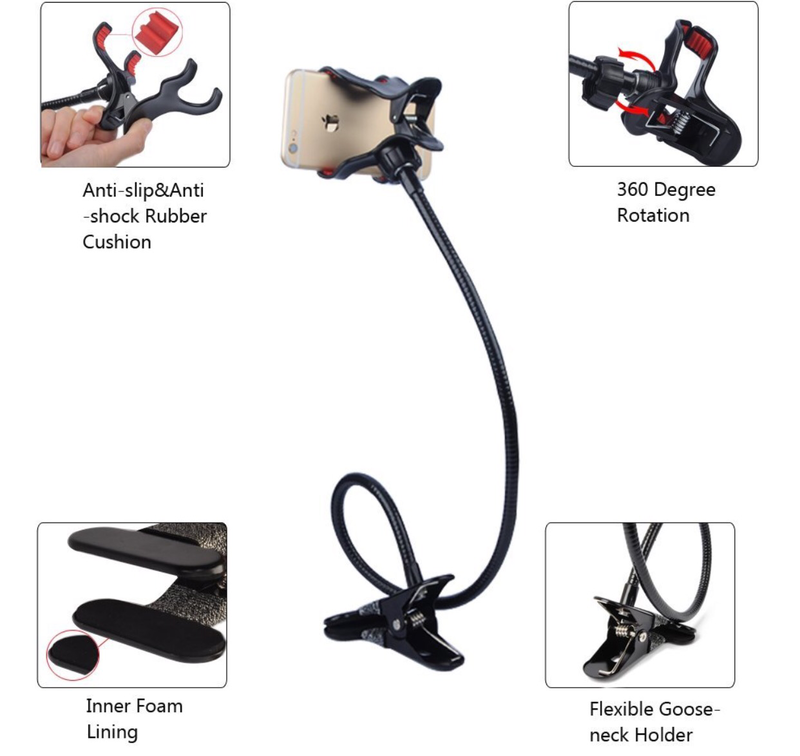 This wonderful gadget is actually on sale at the moment so you can pick it up just in time for the holidays for only $18.90 and I give it a glowing recommendation! Major Black Friday DelSol Color Changing Polish 50% off the entire site! WOW! I just got some top secret inside information! I just found out DelSol.com is having a major sale for Black Friday! The big sale starts Nov 27th & will end Nov 29th. You may want to hurry over there and stock up while everythings marked down so low! Nows a great time to fill your basket with stocking stuffers or just stock up for your own personal colection! The discount code is good for 50% off everything. I love this little gadget! 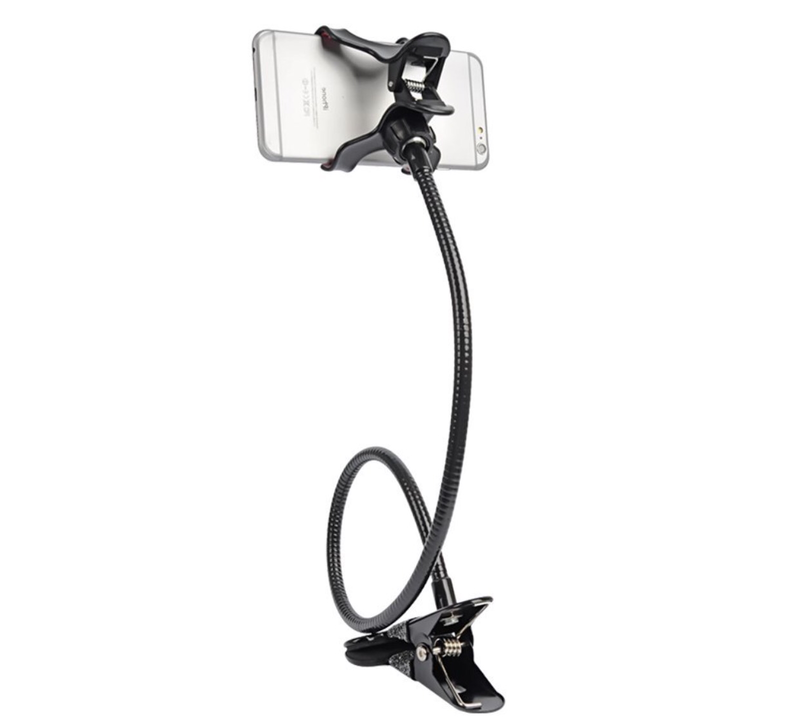 I have been wanting something to hold my phone while I take videos for blogging/vlogging but didn’t know what to use then I saw this little beauty! Such a simple yet efficient design and it works perfectly for exactly what I needed it for! It’s also great for holding my baby’s sippy cup during dinner time too! 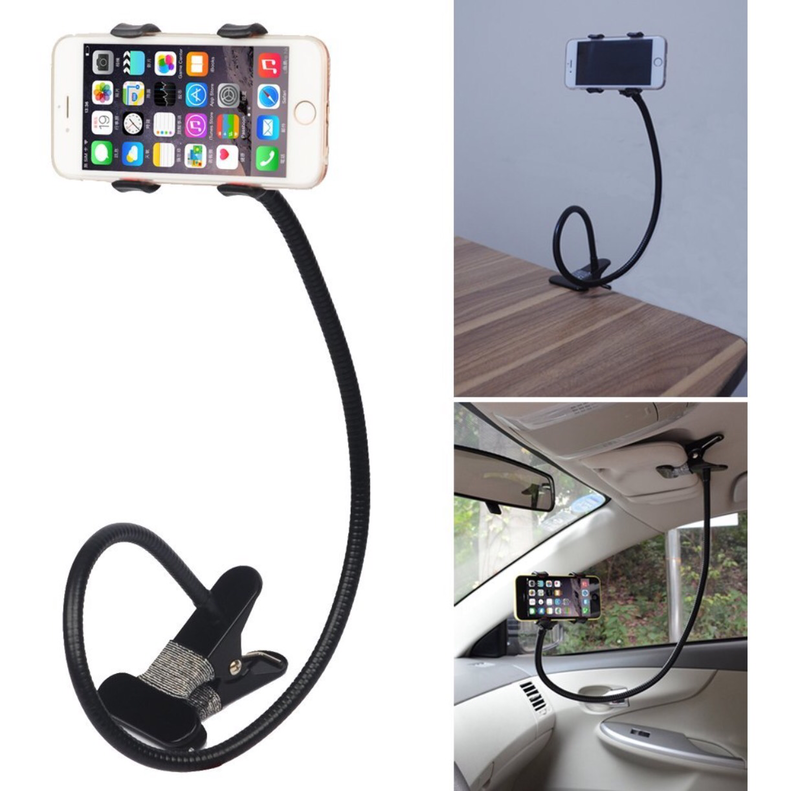 This definitely gets 5 stars from me and I totally recommend buying one! Mine was mailed to me as a product sample so I could try it out and post my opinion and like I said before, I love it! If you’d like to but has one while it’s currently on sale you can find it over here! I just got the Ska Studios waist trainer in the mail last week and I’m absolutely loving it! Well, it’s made of an extremely soft stretchy material, supports me snuggly yet not so tightly it’s hurting me like a corset. After doing some research I’m really liking the fact that is doesn’t have a velcro closure but instead it clips closed using eyelets! I read the Velcro can slip and scratch your skin. It promotes a good posture which helps with my lower back pain from carrying my baby on my hip. I’m able to wear it discreetly under my clothes and I swear to you, I look 5 lbs lighter! I also like that it’s the 1st product I’m come across so far that has an official made in Columbia label on it so we know it’s imported from Columbia. Hmmmmm… maybe that’s the Secret to why Colombian women are so pretty! I had no idea using a waist trainer could make such a visible difference & I honestly have no plans to take it off unless I’m in the bath tub! LoL it’s exactly what I needed for working out and doing cardio in. The fact that it’s flesh color helps it to easily blend under my clothes unlike darker colors. I do have to admit, I did notice the first time I put it on that it pushed my skin up and over the top giving me a back roll but after putting on my bra that fixed it. My waist trainer was mailed to me as a sample to try so that I could post my own opinion and like I said before I’m really loving it. If your interested in the Ska Studios Waist Trainer you can find it HERE.